Today was an exciting day. 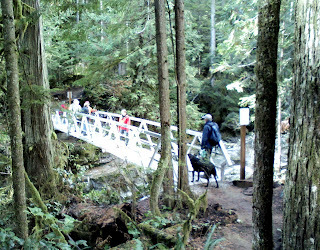 In between visiting numerous studios & galleries during the Sunshine Coast Art Crawl, I took some time to attend the official opening of the Chapman Creek Trail. 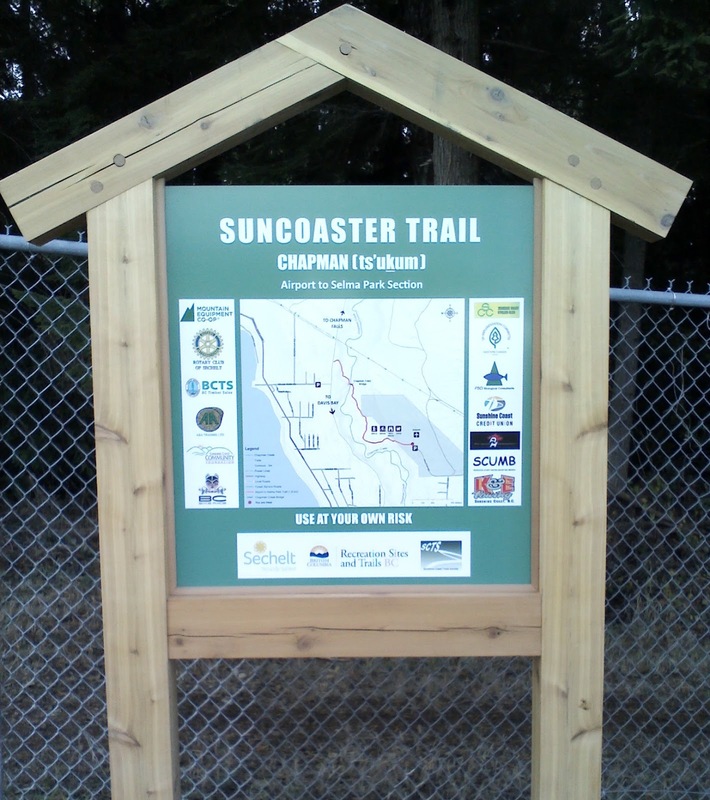 This new trail is a very important connection in what will be the Suncoaster Trail connecting Langdale to Earl’s Cove…80km by highway and much longer by trail. 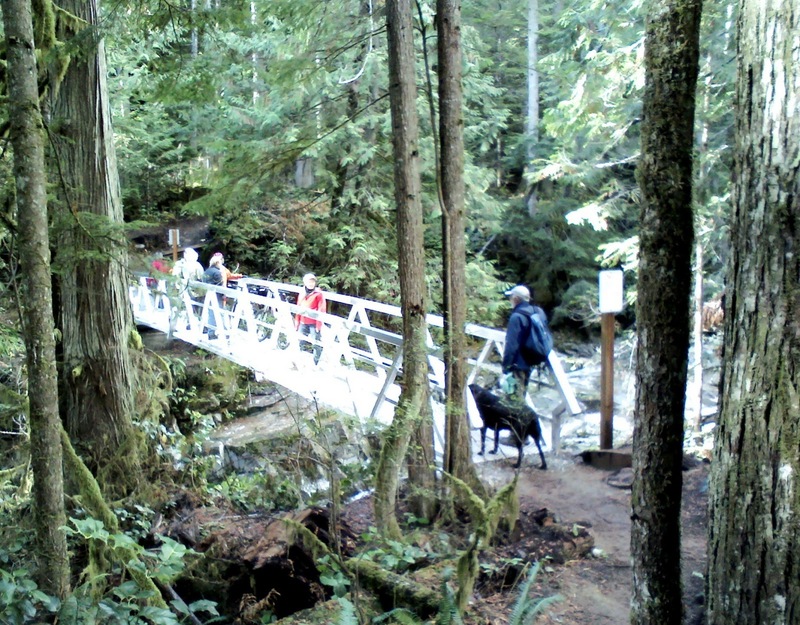 What is important about this trail is the new bridge that crosses Chapman Creek…the only non-highway crossing of the main watershed here on the Sechelt Peninsula. 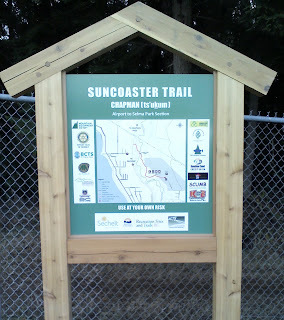 The trail was actually christened in July during BC Bike Race. Volunteers raced to have the bridge installed just days before 500 riders hit the Coast for the prestigious race. Today was a beautiful fall day to dedicate the trail and to honour the many, many volunteer hours that went into building the trail. 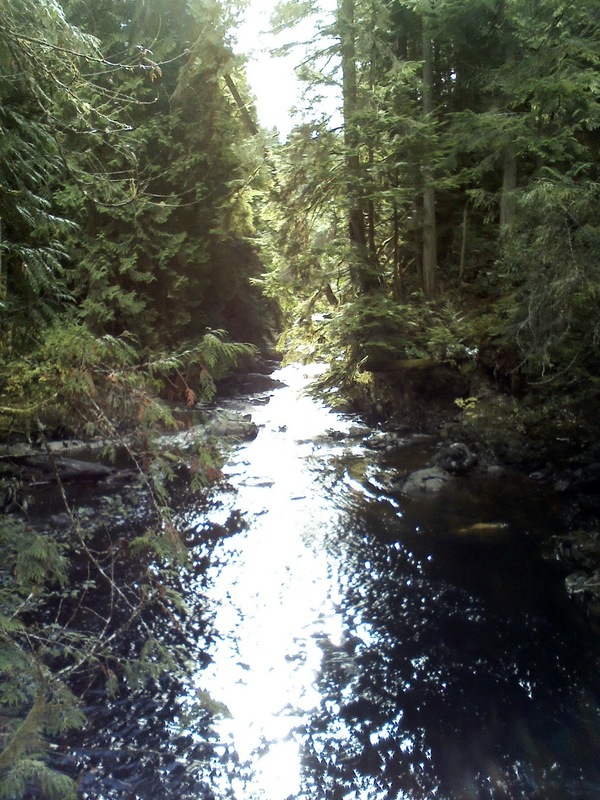 This section of trail runs from the Sechelt Airport near Wilson Creek to Selma Park. Today I only hiked the first section which is about 20 minutes from the airport to the bridge. It is a beautiful, fairly easy hike…just some uneven ground and a bit of a hill at the very end as you return to the airport. From the airport, it is a short distance to the B&K Road network of trails which is a prime mountain bike area. We’ve had a bit of rain the last two weeks, so everything was a deep rich green. 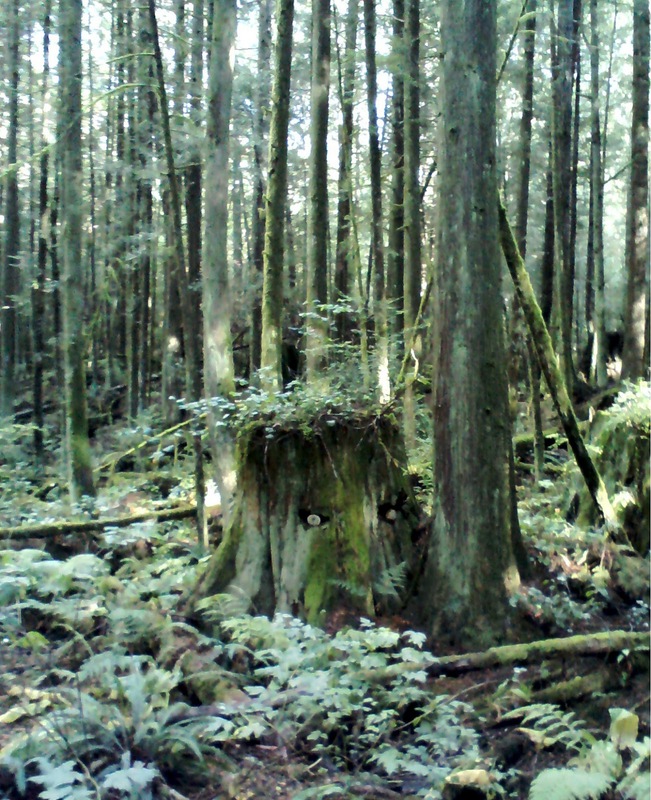 Lots of ferns, moss, and thick vegetation. Pine needles rained down and covered the trail. 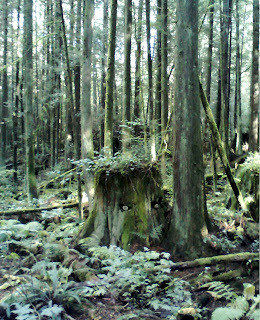 There are some very large old stumps from the original grand forest that I am guessing was logged 70-100 years ago. Chapman Creek is also home to the Chapman Creek Hatchery which is a bit downstream from the bridge. 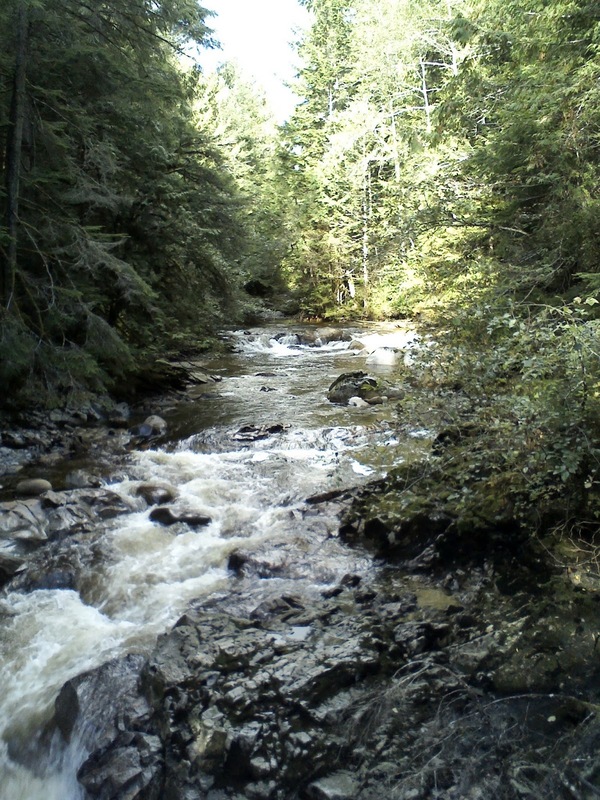 Here, millions of salmon are released each year and are now returning to spawn. Here is a short video clip to try and share the power of the water.